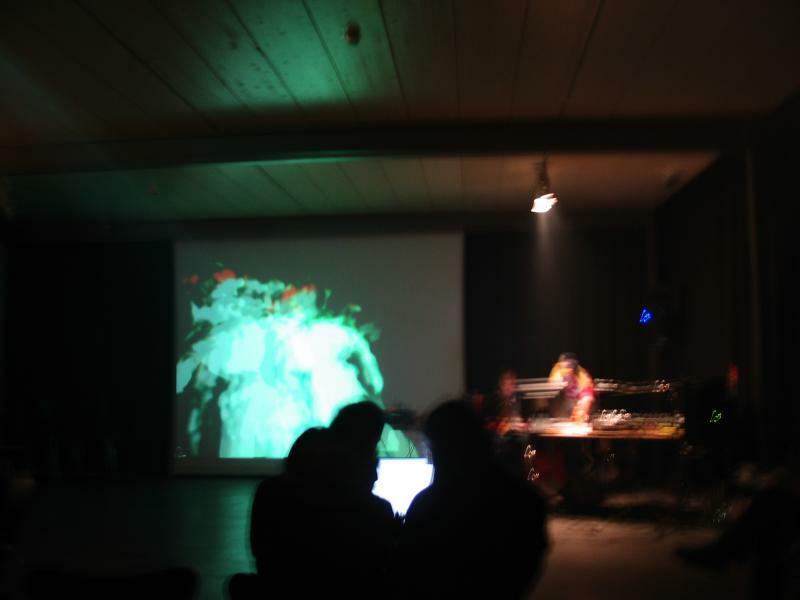 Ever so interested and actively participating in the demo scene, we were happy to agree to an offer of some eager austrian art students, who would let us perform at their self-organized "demo scene event". If you have never heard of the demo scene before, you might want to take a look at the demo scene FAQ . 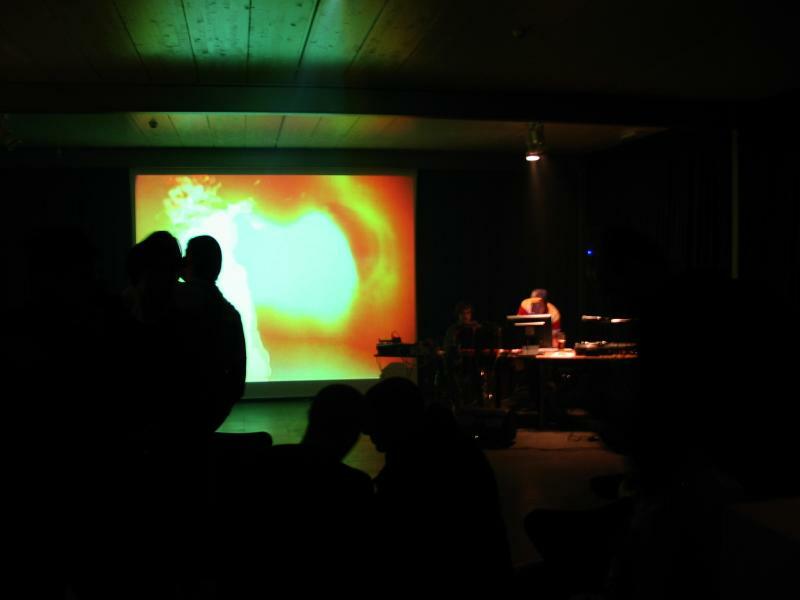 The event was going to take place at the "Kunsthalle" in Vienna on wednesday 10/22 and the main intent was to give interested ppl an insight into the demo scene and the involved culture. The preparation was spent rather hectic with coding some last minute effects and fixing nasty bugs. On wednesday afternoon, georg arrived at our place (mascht & coma) in Passau and we fixed some fast graphs together to get at least some hours of show going. All together preparation was not really good, so some nervosity was in the air when we started the trip. The event had already started when we entered the location, so the setup had to happen quick and quiet. While setting up, we could still catch some pieces of shiva's demo scene presentation/show which was quite nice. 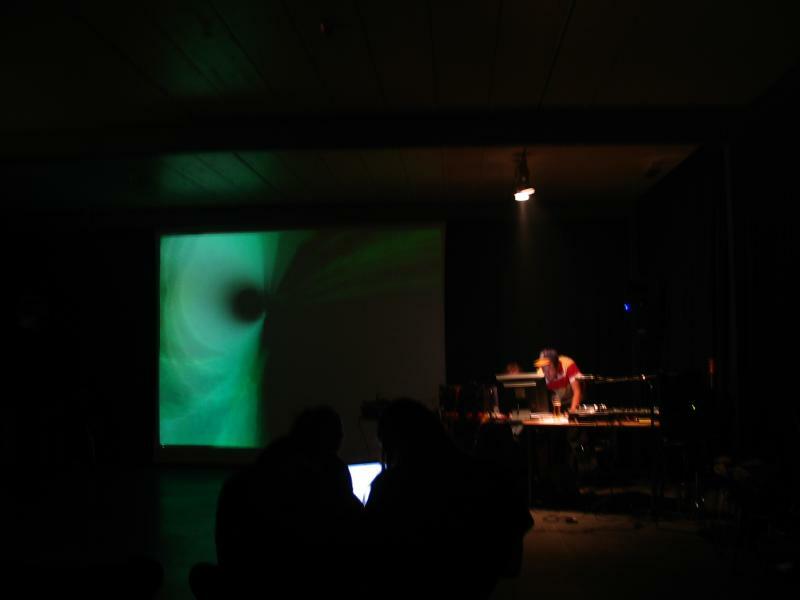 The setup consisted of one desktop box with linux which was intended to run the engine, a notebook connected over crosslink cable which's main purpose was gui display and the hardware which was provided by the organizers, basically a bigscreen videoprojector and the PA. For controlling we brought a doepfer pocket control device, a usb-joystick and mouse and some audio capture equipment. For the fun, we brought a philipps webcam (also usb). At around 9:30pm, the Vienna gameboy music club started it's preformance. This rather early starting time caught us a little by surprise for we expected our performance to take place about a half hour later so we had to improvise a bit by just starting a movie with aalib output (which looked quite ugly on the bigscreen :) ). Also mascht later on had the idea of filming audio-module-synched material from his notebook screen and give it as input into the running gephex server...which looked really, really great. We kept on supplying visuals until the very end of the event with increasing fun and alcohol level. After the official ending, Lucas, one of the organizers offered us a sleeping place at his art school. Thanks again for this here!